This is my family. 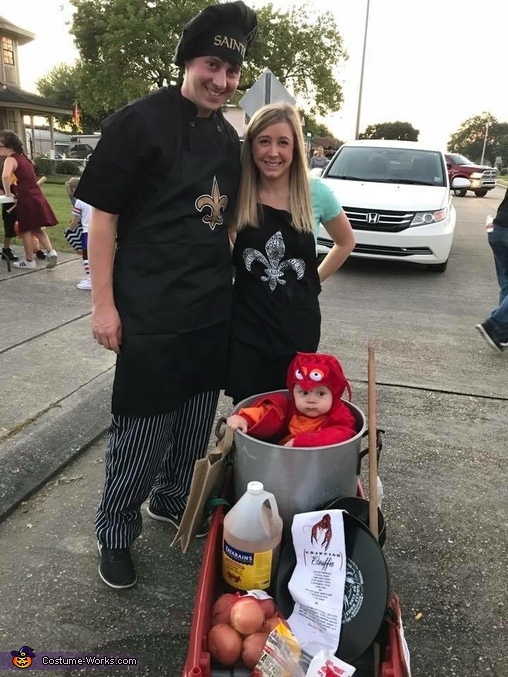 My husband, my son, and myself prepared for a crawfish boil. The idea came from my Nanny. The wagon is filled with all the crawfish boil essentials such as potatoes, onions, lemon juice, and seasoning.